Reports indicate that students and teachers from St. Charles Lwanga School have been rescued. 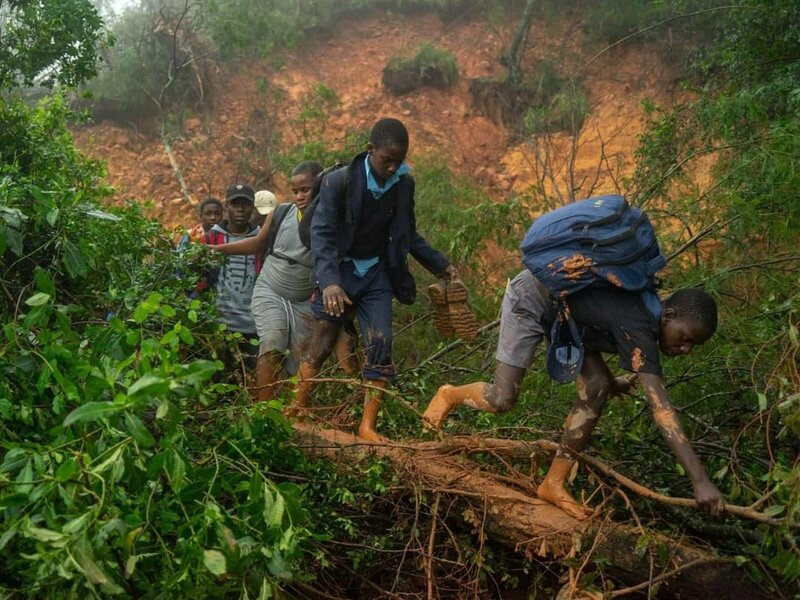 However, they had to walk to Chipinge hoping to get help there. They walked from the school to Skyline (a 15km-distance) on Saturday evening to link up with ZNA, but the army didn’t pitch up. The pupils endured unimaginable suffering as they had to walk barefooted in the mud and scrub over a long distance. A parent who has a child at St Charles Lwanga school confirmed that the distressed children walked to Skyline. He said they were in communication with the teachers who are with the pupils. Meanwhile, the government says the children are currently receiving treatment in Chipinge.